A 70-year-old woman in Omuo-Ekiti, Ekiti State, Mrs. Rebecca Adewumi, has allegedly been tortured to death by some youths in the town over alleged witchcraft. 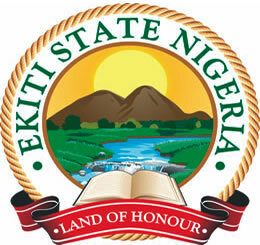 A daughter of the deceased, Mrs. Grace Smith, who is based in Lagos State, told journalists in Ado-Ekiti on Thursday [July 12] that her mother was stripped naked and forced to drink some concoction believed to have the potency to exorcise her. Smith said her mother was tortured in the presence of one of the town’s chiefs on June 26. She added that her mother was beaten, placed on woods while her head was shaved. She was later said to have been locked up in a room where she eventually died on June 30. Smith also said the deceased’s relatives, including her children were prevented from rescuing her. However, the deceased’s elder sister, a 74 -year-old woman, Mrs. Deborah Ajijedidun, who was deaf and dumb was said to have been allowed to see her sister’s corpse. Smith, amid sobs, said her mother’s corpse was left in the room for three days before it was taken to an unknown place. According to Smith, her mother’s ordeal started when her (deceased) stepson, Ola, took ill and the boy’s mother accused her of being responsible for the sickness. “My mother was accused of being a witch and she was said to be responsible for Ola’s sickness but they could not substantiate their claim. They dragged her to the oba’s palace and humiliated her there. At the palace, my mother was stripped naked. The Olomuo of Omuo, Oba Noah Omonigbehin, some chiefs and residents of the town were present”. “She was forced to drink concoction believed to have the power to make her confess her alleged witchcraft. Although she didn’t die at the expiration of the seven days given to her, her attackers who were not satisfied with this went to her house dragged her outside and flogged her”. “Her children and relatives were prevented from taking her away and the attackers mostly youths of the town known as Imekunla locked her up in her room. Three days after she died following the torture, those who killed her are saying that nothing can be done to them”. Smith said a petition had been sent to the police to ensure that justice was done.When contacted on the telephone, the monarch said, “This is not a matter to be discussed on the telephone. You and the person who gave you the petition should come to my palace”. When subsequent calls were put across to the monarch to know the time to visit him, his phone rang out. A well placed indigene of the town told journalists that some chiefs would address a press conference on the matter on Friday today, July 13. The Commissioner of police in the state, Mr. Sotonye Wakama, when contacted, told journalists that the petition was brought to the command by relatives of the deceased.He said that the DPO in Omuo was instructed to go and remove the corpse from the house. Wakama said although an autopsy had been carried out on the deceased in a private hospital, the police would not rely on that. Wakama said the police sent an ambulance to evacuate the corpse from the hospital to the Ekiti State University Teaching Hospital where a fresh autopsy would be carried out. The DPO said nobody had been arrested in connection with the case because no eyewitness had come forward to accuse anybody of any wrongdoing.